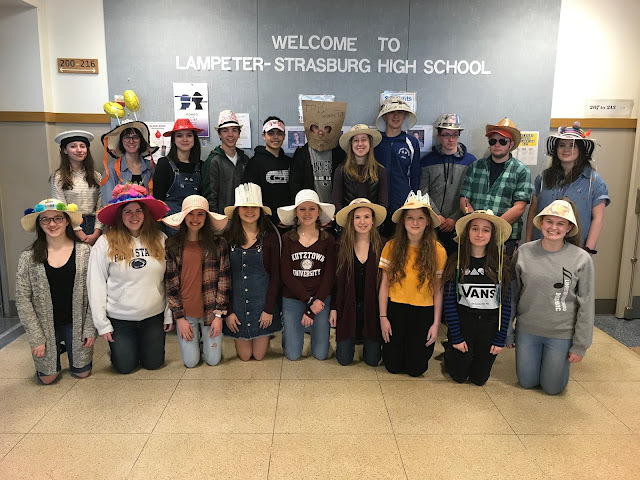 On April 8, another cold and windy day, the Lampeter-Strasburg Pioneers took on the Conestoga Valley Buckskins. Todd Shelley started on the mound for L-S. He allowed one hit and a walk, but he had the help of his teammates, who were able to get a double play. The second inning finished quickly with no score from either team. Then, in the third inning, the Pioneers put Dylan Byler in as relief pitcher. He allowed the Buckskins two runs, but then he was able to stop the them from gaining any more runs in this inning. The Pioneers still were not able to get any men across the plate. When the fourth inning came, CV was able to score another run after a walk. But, when the Pioneers were up to bat, Dan Eshleman was able to get on base. Two batters later, Colin Eckman had a solid hit to allow Eshleman to get home. Next, Andrew Hay was safe on base and soon reached home when he was able to advance on a hit by Kris Pirozzi. The Pioneers were able to make a three-run deficit a one-run deficit. Byler kept the Buckskins from gaining any more runs during the fifth inning. For the Pioneers, more runs were scored. Ben Rhoades reached home, and then Devon Weiant crossed the plate after being hit and two errors by the Buckskins. This brought the score to 4-3, Pioneers. But the Buckskins did not give up. In the sixth inning, they were able to tie the game 4-4. Ioanni Kovack was put in as the relief pitcher for Byler. Kovack did not allow any more runs from the Buckskins. When the Pioneers were up to bat, they knew what they had to do. Scoring runs for the Pioneers in the sixth inning were Kris Pirozzi, with a steal from second to third base; Bear Shank; Caleb Danehower as a pinch batter; and Andrew Hay, who was a pinch runner for Luke "Bubba" Weigel. They were able to get 4 more runs in the sixth inning. Kovack had a great last inning and his teammates had his back to keep the Buckskins from scoring. In the end of the game, the Pioneers were victorious with a score of 8-4.